Craig Safety Technologies, Inc. offers compliance and safety solutions for organizations of all sizes. We began with a small group of safety-minded individuals with big ideas. The technology in 1998 was vastly different than what it is today. Over the years, Craig Safety Technologies has been at the forefront of the technology revolution, and today we offer a suite of services that will help to meet your compliance needs even as regulations change, technology evolves and your company grows. Compliance Safety Manager™ (CSM), our cloud-based, proprietary software platform consolidates and stores personnel, assets and government required information in a single repository. The CSM engine is driven by government- mandated rules that ensure compliance. DOT consulting that includes audits, safety rating upgrades, records compliance management and other services to help your drivers get home safely. OSHA consulting, training, citation negotiation and on-site inspections to companies that fall under OSHA‘s jurisdiction. Helping companies understand OSHA regulations enable them to provide safer and healthier working conditions for their employees. 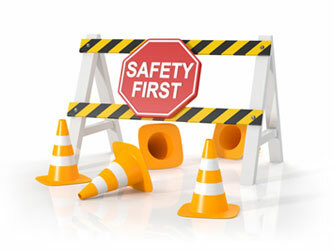 At Craig Safety Technologies, we believe that every employee has a right to be safe. A global culture of safety is everyone’s responsibility, and Craig Safety has the tools and expertise to help you realize this life-saving goal.